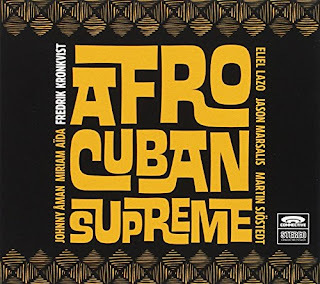 Inspired by Dizzy Gillespie’s idea of bringing together people, music and rhythms from different continents and countries, the award-winning and Swedish Grammy nominated alto saxophonist Fredrik Kronkvist has created a diverse mix of Afro-Cuban rhythms and Coltrane-influenced jazz with his new group Afro-Cuban Supreme. 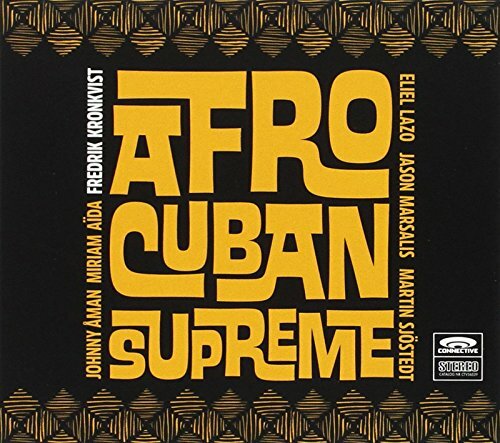 On the occasion of Dizzy’s 100-year anniversary in 2017 Fredrik Kronkvist releases the album Afro-Cuban Supreme with superstars Jason Marsalis(USA) on drums, conga virtuoso Eliel Lazo(CUB) and Miriam Aïda(MAR/SWE) on vocals. The music ranges from legendary songs like A Night in Tunisia, Afro Blue and Manteca in eventful arrangements to exciting original compositions with contemporary approaches to timeless Latin Jazz.